Totally Tops Customer Of The Week! Time to Tippity Tap Dance for our Customer of the Week….Chuck !!!! We can’t sing Chuck’s praises enough ’round here at Eye Spy! He is one of the nicest guys and he always knows what he wants…Theos! 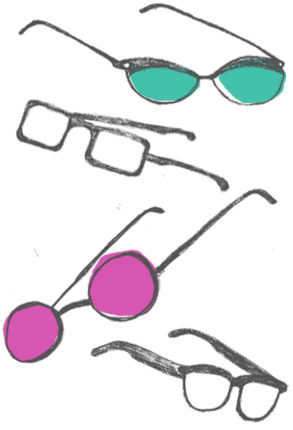 Chuck is a lawyer and while he could go the conservative route, he has always been called to the unique silhouettes and fun colors of Theo frames. 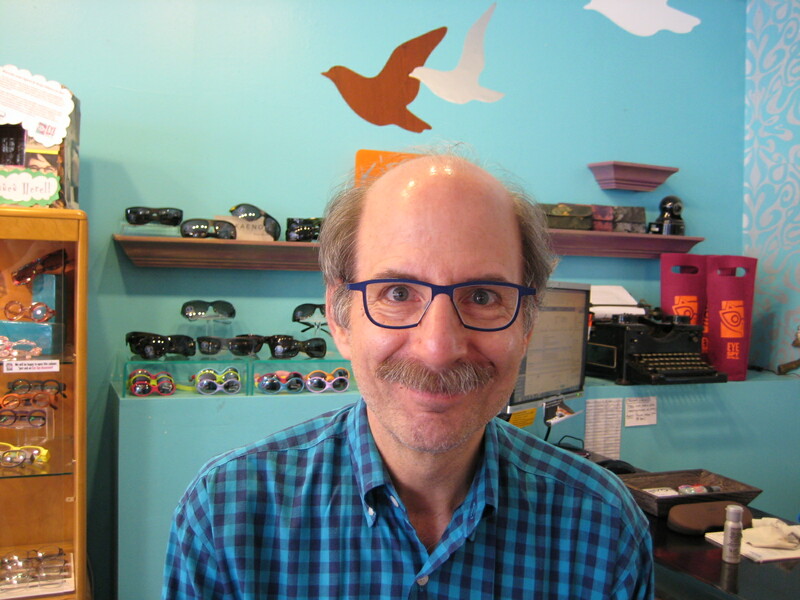 Chuck came to our Theo Trunk Show and with our Design Maven’s help, picked out a frame that is new to their collection this year – James 5. Chuck is living proof that you CAN wear funky eyewear to work!